Just as the pace of subjecting Libya to a new phase of international discipline quickens, the elites of the small club of recolonizing powers that nominate themselves “the international community” have offered painfully little when it comes to explaining Libyan dynamics. The suggestion is that, with a new “unity government,” Libya can acquire “stability,” especially by somehow “defeating” ISIS—it’s all bland verbiage, from start to finish. For my part, I am no “Libya analyst”—I am a “foreign intervention in Libya analyst,” and there is quite a difference. Nonetheless, I cannot pretend that I do not read with interest accounts of shifting power dynamics on the ground, the formation and fragmentation of regional and local military alliances and networks, the ideologies of the actors, and their ideas of where Libya ought to go. I maintain an irregular correspondence with some Libyans, residing in Libya and abroad, follow the social media accounts of Libyans (at home and abroad), and read some of their blogs. I also cannot deny that for the past 33 years I have maintained an interest in the topic of popular democracy in Libya, thanks in part to the first mailings I received as a teenager from the Libyan People’s Bureau in Ottawa, Libya’s embassy. My comments here, however, do not substitute for the knowledge and insights of any Libyans, whether or not I may agree with them politically. What I would contest is the notion that Libyans have no “solutions” to their own problems—they clearly do, and they hold to them deeply enough to fight each other over their competing ideas of where to take Libya. Certainly, whenever I read the works of Libyans, I am treated to especially eloquent, articulate, and incisive points of view. Envisioned solutions exist in abundance, and are practical in restricted locales—it’s the mass political support for one or another national program that is awaiting formation. Nor do Libyans act out of “lack”—there seems to be a persistent, somewhat perverse tendency among foreign “experts on Libya” to concoct ideas of absence, and thus inferiority, and in turn an inevitable projection of Western solutions. Left to their own devices, Libyans might have come up with some very interesting, novel political constructions over time, without being rushed toward a goal pre-defined by others. However, one can understand Libyans’ impatience for an immediate solution, given the rising hardships reaped from the destruction of the society of the Jamahiriya. My question then is a simple one: What is a rough political outline of the political dynamics of Libya at present? It’s the methodology for addressing this question that is the problem: not fabricating a state-centric illusion, by ignoring the impacts of external power; gaining a sense of the whole, even though knowledge of the many local parts is much needed (one recent journalistic example being Marlowe, 2016); and being able to discern the fundamental from the incidental. First of all, in producing such an outline, we have to avoid the temptation to reinscribe the phony dialectics produced by Western interventionists and their agencies, which spread confusion about scales and units of analysis, confusing the momentary with long-term, the local with the international, the desired with the needed. The war that NATO declared over in 2011, never ended in Libya. Domestic war, having gone through various stages of development, has reached the point of producing objective conditions of suffering not seen in Libya since the Italian colonial occupation. According to the UN, which presided over the dismantling of the Libyan Jamahiriya, with the highest human development index of any nation in Africa, Libya now has at least 2.44 million people in need of aid, 1.3 million of which lack sufficient food, along with 435,000 internally displaced persons—this is in a country with roughly six million people (UN, 2015b). The news gets worse: of Libya’s six million people, about 1.8 million Libyans—nearly a third of the nation—have fled to Tunisia as refugees (Gall, 2014). Given that the figure was reported well over a year ago, one might assume that the number has increased since then, as conditions have worsened. An agricultural labourer near Tripoli was quoted as offering the following overview of Libya today: “The country has plunged into the sea. It’s gone. It’s going to be hard for it to come back” (Gall, 2014). It would require the maximum of callous indifference, dishonesty, or ignorance—or all three combined—to conclude that this is still better than “life under Gaddafi,” which comes close to describing declarations on Libya by Hillary Clinton, Barack Obama, and the neoliberal-reformed “socialists” that dominate the Western post-left. The UN Humanitarian Coordinator for Libya, Ali Al-Za’tari, calls this situation a “humanitarian crisis”. What does that mean? The terminology, meant to evoke a certain posture of liberal rescue, interventionism to halt emergency, and a restoration of a “bare life” of supposed normalcy—actually explains nothing at all. Most readers, if pressed to explain what makes a crisis a “humanitarian” one, might say that it is a crisis that affects “humans,” or that it’s a crisis that requires charitable foreign action. Otherwise, the phrase fails to illuminate, let alone educate. It is instead simply an exercise in emotions, that must be aimed at those who are not fatigued by giving for every new crisis of the day, especially the majority who are fatigued and stressed by their own economic and financial crises. Thus is it not only an emotional appeal, it is an elitist one, and it still explains nothing of what made the crisis into a crisis, and how to solve it. Food aid and resettlement will actually solve exactly nothing. That will at least keep the humanitarian coordinator in business, because next year—having solved nothing with food and blankets—he will be back to expertly alert the world to the humanitarian crisis. Meanwhile, two response systems are further entrenched by exhortations such as those of the EU, UN, NATO, and primarily the US: a) that we must forever remain in global emergency mode, so that we can quickly turn over trust and resources to globalist elites who would collectively marshal us this way or that as convenient; and, b) that we must approach Libya as an inherently incapacitated, “needy subject,” that only we can really save—and Libyans can help us help them, of course, if they know how to follow orders. Even with the dubious benefit of reports such as the inelegantly titled UN (2015a), “Report of the Analytical Support and Sanctions Monitoring Team submitted pursuant to paragraph 13 of Security Council resolution 2214 (2015) concerning the terrorism threat in Libya posed by the Islamic State in Iraq and the Levant, Ansar al Charia, and all other Al-Qaida associates,” basic doubts persist. The Islamic State, in Libya, is discussed as if it were a mere transplant, somehow formed by people who fought under ISIS in Iraq and/or Syria, and returned to Libya—or, non-Libyan ISIS members who just moved to Libya and, lo and behold, embedded themselves within the country’s political landscape and were then able to exert considerable power, enough to be treated as a threat to multiple continents. Like the specious, pseudo-academic fluff about “radicalization” that is produced in North America, there is no credible answer as to how the Islamic State was able to grow in Libya, and go as far as taking over a bastion of support for Muammar Gaddafi, his hometown of Sirte. While our eyes are trained on Sirte by the media—that soon becomes a 150 mile wide swath of territory around Sirte, but then the US bombs a target in Sabratha last week, which is even further west than Tripoli. So where is ISIS? There is even less of a credible explanation as to how ISIS spread so quickly, and how it acquired so many adherents—though, again, some might be tempted to resort to the largely mythical wonders of their so-called professional social media recruitment campaigns (because images of mass beheadings, it turns out, are just so irresistibly appealing—if we believe the claims). In bulk terms, the suggestion is that whatever could help Libya “move forward,” ISIS stands for the exact opposite—the exact opposite of pretty well anything one favours. As a mythically constructed antithesis, it can logically be no antithesis at all. There seems to be a creeping realization that one possible reason why ISIS may be gaining such a strong presence in Sirte, where no one else has since the end of Gaddafi, is precisely because supporters of Gaddafi and the Jamahiriya have joined ISIS out of desperation and to seek revenge. I have watched Libyans, both those in the country and those residing abroad, debating this idea among themselves. Ibrahim Bate el Mal, a spokesperson for the Misrata military council, told Middle East Eye that fighters from Sudan, Tunisia, Egypt, Algeria and Yemen were already gathering in Sirte in preparation for a new round of foreign intervention, and “suggested that Gaddafi loyalists motivated by revenge were also backing the group in the former leader’s home city, as supporters of Saddam Hussein have been accused of supporting IS in Iraq” (Mannocchi, 2016). He said: “We see happening here what has already happened in Iraq with the Baath party. Libyans are still paying for the consequences of the revolution”. This dynamic then, if there is any merit to it, poses a substantial challenge to what is passing under “counter-terrorist” and anti-ISIS headings. On the other hand, there is so much speculation around this topic that it would be wise to take all of this with a few grains of salt. First, “Gaddafi loyalist” is used by most militias as a term of abuse against rivals and enemies—so it is not surprising to see the Islamic State at the receiving end of this rhetoric. Second, if “Gaddafi loyalists” have indeed joined the Islamic State, it would mean joining with groups they fought during the 2011 war, some of which have joined IS, while at the same time fighting other “Gaddafi loyalists” that are regularly depicted as forming part of General Khalifa Hiftar’s army. It’s not impossible, it just seems that there is a lack of proper substantiation, at least in English language sources. One reality that does matter, and is the one commonality between post-invasion Iraq and post-2011 Libya, is the reality that makes a mockery of “radicalization” theses: the systematic purging of all those who worked in the previous government. In Iraq, it has been called de-baathification, and in Libya, de-gaddafication. The “antithesis” of stability in Libya is not something produced by “religion,” “ancient rivalries,” nor mysteriously supreme social media recruiting by jihadists. Nor is the problem one caused by Gaddafi allegedly centralizing the state within himself, and leaving nothing but a stateless nation when he was killed. The latter notions—ideological and deliberate in nature—have produced a fog of misunderstanding that send analysis into phony anthropological and exclusively local directions, so as to erase any sense of the impact of the recent past. Knowledgeable Libyans and some journalists understood that the Political Isolation Law marked a severe turning point for post-2011 Libya, that would aggravate divisions and escalate violence, to the point of a breakdown where two rival parliaments have been created. On May 5, 2013, the General National Congress passed a law—under duress with gunmen laying siege to the parliament and other state institutions—that banned “anyone who held a senior position during Muammar Gaddafi’s 42-year rule from government,” which threatened to unseat top officials despite their role in overthrowing Gaddafi (Donati & Shennib, 2013). It’s not that Libya had no state, “thanks to Gaddafi” (as US “think” tank propagandists like to say). It is that it was being gutted from within Libya, after first being attacked by NATO and the US which resolutely targeted stated institutions and officials under the pretext of targeting “command and control” facilities. Otherwise, more knowledgeable US diplomats documented in their own cables, as published by Wikileaks, reams of evidence of a functioning, democratic state in Libya that was far from the one-man show that Western politicians and propagandists routinely tell their gullible or under-informed audiences. That Libya was not a liberal democratic state, there is no doubt—but liberal democracy is neither the only nor the oldest form of democracy. And as we should observe during this US presidential campaign, liberal democracy is neither the least corruptible nor the most sustainable form of democracy. With reference to the political isolation law, one analyst noted that it “could result in most government administrations being gutted, without having sufficient staff or institutional memory to ensure their proper functioning” (Geoff Porter, quoted in Donati & Shennib, 2013). The law would have banned around 40 members of the existing parliament, as well as banning former government officials from joining political parties or working for any state institution. Even as the militias gained a forced legislative “victory,” they continued their siege of parliament and several government ministries (Donati, 2013). That this was a major turning point was highlighted by one Libyan analyst who alerted, “the long-term fallout from all this could be severe. For a start, national reconciliation is under threat, as are the still fragile political bonds between ministries, the police and the SSC. In addition, members of the army’s border control could be culled across the south, east and west of the country, putting at risk decades of logistical knowledge of the terrain and local tribes” (El Gomati, 2013). Therefore, right at this point in 2013, Libyans were discovering a key lesson important for the future of Libya: there could be no “stability” without national reconciliation, and no national reconciliation without the continued participation of those who actively worked to maintain the Jamahiriya. That does not mean “restoration,” nor “loyalism,” but more of a dialectical synthesis than anything else proposed thus far. Indeed, even the discredited former UN envoy to Libya, Bernardino Leon, confessed in a private email to the UAE’s Foreign Minister: “Libyan history shows (even in the case of Qadafi) that only big social majorities can rule the country” (Leon, 2015). Libyan history shows this, and Libyan opinions reaffirm it, as we shall see below. In terms of foreign intervention, US persecution of officials connected to the overthrown government led by Gaddafi, and persecution of his family members, continues to this day (see Duran, 2016; White House, 2016). In fact, these US sanctions have been renewed and extended by Obama each and every year since 2011. Obama uses the claim that “the situation in Libya continues to pose an unusual and extraordinary threat to the national security and foreign policy of the United States, and we need to protect against the diversion of assets or other abuse by certain members of Qadhafi’s family and other former regime officials” (White House, 2016). This is a very peculiar focus, at the same time that the US and others claim that ISIS is somehow the main source of destabilization in Libya. What is Obama indirectly admitting here? The same argument was used by Obama when justifying the renewal of sanctions previously in 2012, in 2013, in 2014, and in 2015, each year around this time (AFP, 2012; Boyer, 2013; UPI, 2014; Federal Register, 2014; Sputnik, 2015). Sanctions that the US imposed with lightning-quick speed as part of a rush to war in February, 2011, are re-imposed every year since then—it’s as if Obama was still at war with Libya, enforcing regime change against Gaddafi. That suggests what the US fears the most, more than ISIS: a Libyan synthesis that makes peace with the past and salvages the best of it. In 2012, The Institute of Human Sciences at the University of Oxford, together with The University of Benghazi in Libya, published what they titled the “First National Survey of Libya,” a rare nationally representative survey that involved dozens of fieldworkers doing face-to-face interviews across the country (Oxford Research International, 2012). At first, the picture one gets from the survey and its executive summary, is one where the overwhelming majority of Libyans supported the overthrow of Gaddafi, wanted former government officials put on trial, and had a generally optimistic view of the future. 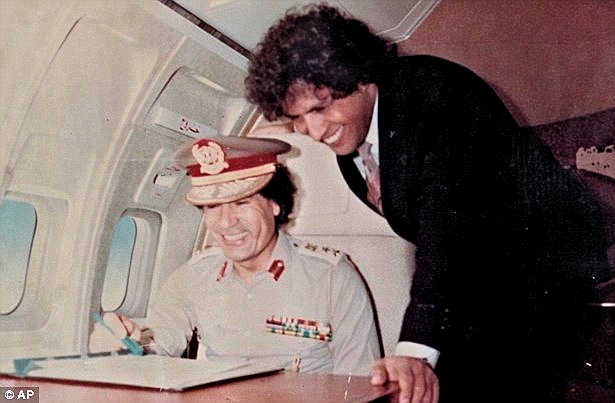 Then, for those familiar with the Libyan political system between 1969 and 2011, under Gaddafi’s leadership, and for those who have read Gaddafi’s Green Book, a peculiar pattern begins to emerge hidden within the other data—one that was generally lost on the Oxford and Benghazi researchers themselves, or at least they neglected to comment on the pattern they themselves helped to reveal. It is important to keep in mind some of the subtleties of the responses: this survey came mere months after the end of NATO’s military intervention, of which the UK was a prominent participant. Some respondents could have identified Oxford researchers with the NATO side—not that the released survey materials reflect on this possibility. Second, Benghazi was at the centre of the most violent revolt against Gaddafi, and both during the NATO war, and especially after, a reign of terror was unleashed against all those suspected of being loyal to Gaddafi or to the Jamahiriya more broadly. Thus a similar bias could have been produced by surveyors associated with Benghazi. With this in mind, the surveyors found that “social trust is low, only 17% say that most other people can be trusted” and in that context, speaking on the insurrection against the government, “82% think it was ‘absolutely right’ and 15% ‘somewhat right’”. Again, the survey report lacks reflexivity, and does not comment on what accounts for an incredible 97% positive response to what was a bloody and ongoing war that had caused so many to lose everything. (j) Independence: the biggest group of respondents, 38%, were “adamant that ‘Libya needs no model’”—specifically referring to the idea of importing or following other countries’ models. On a more ominous note, of relevance to what has been unfolding since then: “16% say they are ready to use violence for political ends. This represents 630,000 potential fighters”. What is interesting is the suggestion that a large mass of Libyans indicated, by indirect means, a continued preference for key aspects of what had been the norm until 2011: centralized power; stability; no multi-party elections; secular rule; non-tribalism; a strong leader; some level of participatory democracy; state support; equitable distribution of wealth; and, political independence—with the suggestion, or implication, that if frustrated, a large minority was ready to engage in political violence. To the extent that the survey has any merit, this then could be a portrait of the Libyan synthesis. Rather than drone strikes against Sirte, bombarding houses, or sending in commandos to kill ISIS fighters—and rather than inventing fictitious governments in the halls of the UN and installing them in luxury hotels outside the country—the path toward some sort of solution on the ground, in a way that is meaningful to most Libyans and supported by most, is the path indicated by Libyans themselves. It does not come from Geneva, the State Department, and least of all the Brookings Institution or the Carnegie Endowment for International Peace. On the margins of the orchestrated “breaking news” in Western media, one can spot some interesting dynamics at work. Here is a formal propaganda arm of the US government, the Voice of America, coming out and stating a few weeks ago what some of us have known for a couple of years now: “Ahmed Mohmamed Gaddaf al-Dam, the late dictator’s cousin, is seen by some observers as a man to watch” (Dettmer, 2016). The VOA does the disservice of pretending that Gaddaf al-Dam is pushing for “the return” of the “old guard”—he himself parted ways with Gaddafi and argues, very reasonably, that what happened happened, and is not reversible. He never calls for “restoration,” and has commented that such restoration in toto would now be impossible. Where the VOA is correct is in reporting that Gaddaf al-Dam “calls for the remnants of the ousted government to be included in a political settlement the United Nations is advocating,” and that without their inclusion, “a U.N.-brokered unity government struggling to get off the ground will fail and the turmoil engulfing the country will persist” (Dettmer, 2016). What is his role? 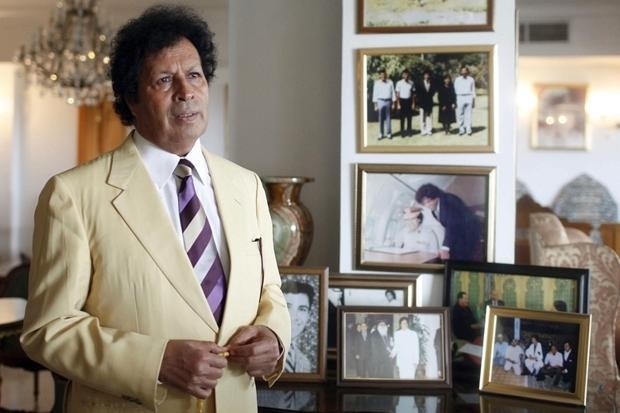 The VOA calls Gaddaf al-Dam the Gaddafi clan’s “standard bearer,” the “official spokesman” of the Gaddafi tribe, related to the Houara tribe and that he is also related to leaders of the Awlad Ali tribe, which spans the Libyan Sahara and Egypt. The VOA misses or obscures the nuance in his speech—rather than restoration, Gaddaf al-Dam is calling for synthesis as outlined above. First he says, “let’s forget about the past and get together and solve the mess and stop the bloodshed we see every day” (which is neither restoration nor retribution, but coming together), and then he adds that former government figures should be in the nation’s new administration: “Why not? It is their country too” (Dettmer, 2016). Similarly, Libya analyst and Senior Fellow at the Atlantic Council’s Rafik Hariri Centre Hafed al-Ghwell, “places little faith in the peace accord because it fails to represent one of the largest maligned groups in Libya’s civil war: the tribes and figures associated with the country’s former leader Muammar Gaddafi” (Paton, 2016). Ghwell argues that by excluding and continuing to displace members of the former Jamahiriya, Western interventionist powers and the UN would only make it more likely for the excluded to work against the peace process. As was suggested above, Ghwell also thinks there is no coincidence in the fact the Islamic State’s climb to power in Libya is based on Sirte, one of the last major bastions of support for Gaddafi. As Ghwell explains, “We know from Iraq that Daesh builds on these kinds of former regimes and these disenfranchised groups” (Paton, 2016). Ghwell is no “Gaddafi loyalist”: he claims to have been exiled for speaking out against Gaddafi, and took up residence in the US. However, once again, the move toward synthesis: he “is also on record expressing support for Ahmed Gaddaf al-Dam, the former leader’s cousin and aid. He explained that as well as Gaddaf al-Dam, who still has support particularly in the east, around one million supporters of the former regime remain in exile” (Paton, 2016). Other Libyan authorities also agree that members of the former government and their supporters need to be integrated, or peace will not be sustainable. And that is the key to understanding this newest round of European and US military intervention already underway in Libya: it resorts to force to sustain an “artificial” solution, justified in terms of the wrong dialectics (humanitarian crisis, ISIS), in order to prevent an independent Libyan synthesis that could eventually block Western powers’ attempts to effectively recolonize Libya. AFP. (2012). “U.S. Extends Sanctions on Libya One More Year”. Al Arabiya, February 24. Boyer, Dave. (2013). “Obama Extends Sanctions against Libya”. The Washington Times, February 13. Dettmer, Jamie. (2016). “Gadhafi Cousin Promotes Return of the Old Guard”. Voice of America, January 23. Donati, Jessica. (2013). “Gunmen Still Hold Libya Ministries after Ban on Gaddafi Officials”. Reuters, May 6. Donati, Jessica, & Shennib, Ghaith. (2013). “Libyan Parliament Bans Ex-Gaddafi Officials from Office”. Reuters, May 5. Duran, Nicole. (2016). “Obama Extends Libyan Sanctions”. Washington Examiner, February 22. El Gomati, Anas. (2013). “Why Libya’s ‘Isolation Law’ Threatens Progress”. CNN, May 21. Federal Register. (2014). Notice of February 20, 2014: Continuation of the National Emergency With Respect to Libya. Federal Register, 79(36), February 24. Gall, Carlotta. (2014). “Libyan Refugees Stream to Tunisia for Care, and Tell of a Home That Is Torn Apart”. The New York Times, September 9. Leon, Bernardino. (2015). “Full Text of Email from UN Libya Envoy Bernardino Leon to UAE Foreign Minister”. Middle East Eye, November 5. Mannocchi, Francesca. (2016). “Libyans Fear Military Intervention Could Set Country Ablaze”. Middle East Eye, January 27. Marlowe, Ann. (2016). “The Next Dangerous Move in Libya”. The Daily Beast, February 22. Oxford Research International. (2012). First National Survey of Libya. Oxford, UK; Benghazi, Libya: The Institute of Human Sciences, University of Oxford; The University of Benghazi. Paton, Callum. (2016). “The Inconvenient Truth of Libya’s Peace Deal and the Gaddafi Loyalists and Revolutionary Militias it Ignores”. International Business Times, January 9. Sputnik. (2015). “Obama Extends National Emergency Designation for Libya – White House”. Sputnik, February 23. Sputnik. (2016). 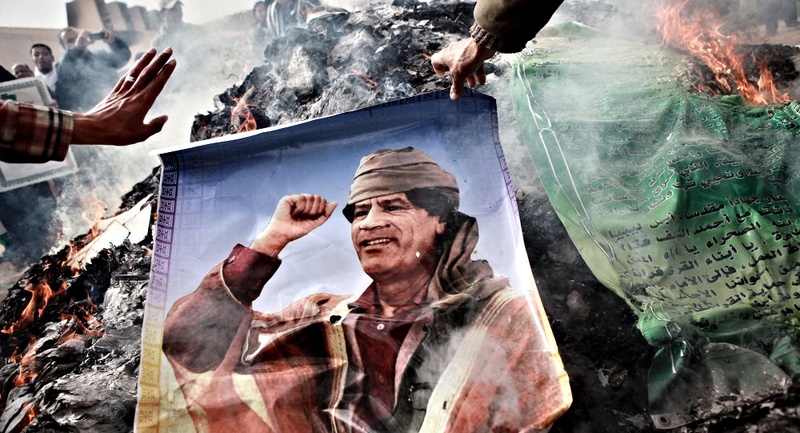 “Gaddafi’s Cousin: Libya Ruined and ‘Humiliated’ After NATO Invasion”. Sputnik, February 17. UN. (2015a). Report of the Analytical Support and Sanctions Monitoring Team submitted pursuant to paragraph 13 of Security Council resolution 2214 (2015) concerning the terrorism threat in Libya posed by the Islamic State in Iraq and the Levant, Ansar al Charia, and a. November 19. United Nations Security Council. UN. (2015b). “Libya’s Dire Humanitarian Situation Requires Funding ‘On Time and in Volume,’ Warns Senior UN Relief Official”. UN News Centre, December 22. UPI. (2014). “Libya Still a Threat, Obama Says”. United Press International, February 21. White House. (2016). Letter — Continuation of the National Emergency With Respect to Libya, February 22. Washington, DC: Office of the Press Secretary, The White House.